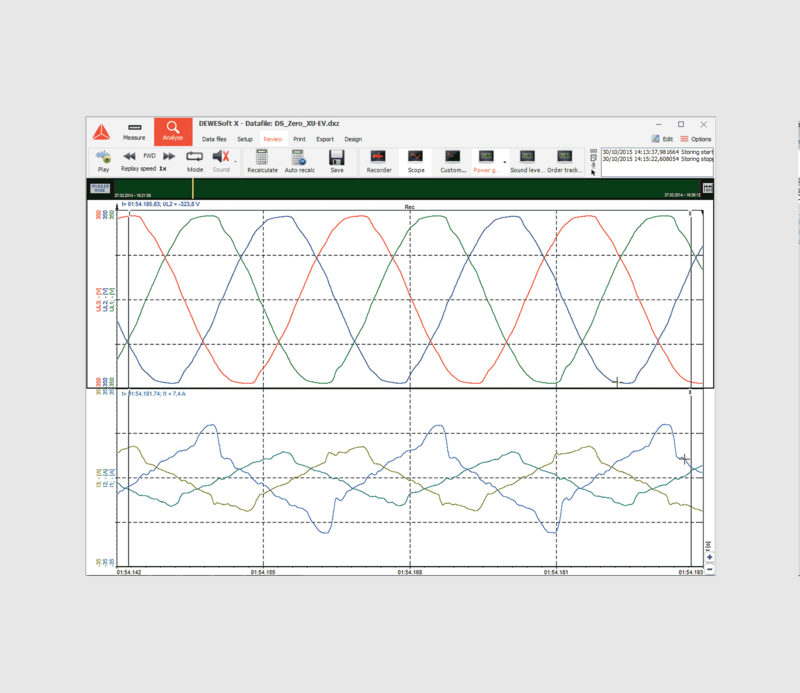 Dewesoft power analyzer features a high sampling rate, high bandwidth, and high accuracy hardware for power analysis on electric motors, inverters, transformers, switches and any other electronic equipment. 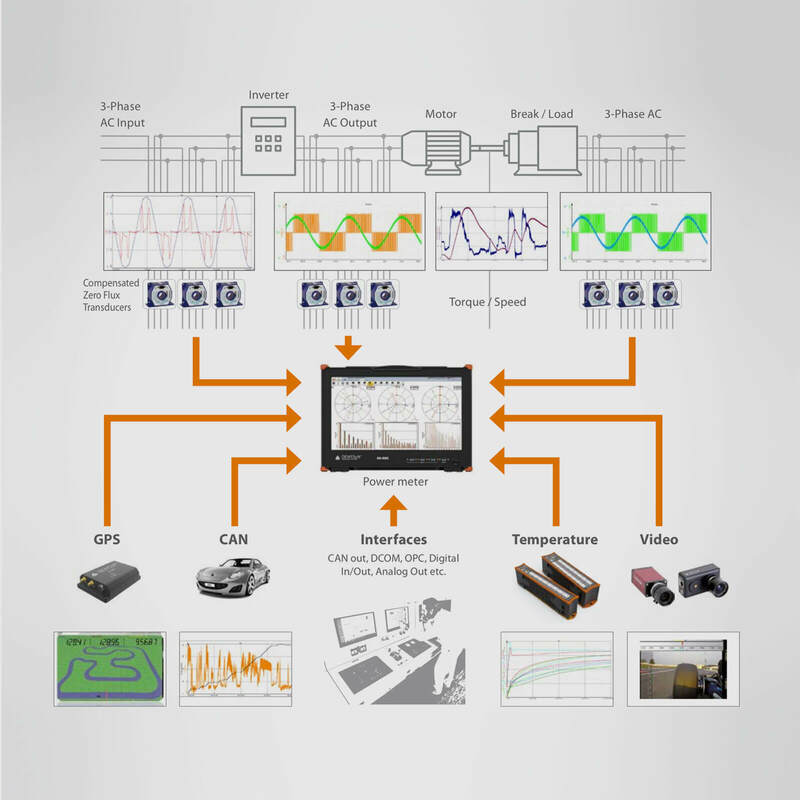 The ability to connect other sensors for temperature, vibration, RPM, torque offers a unique solution for modern power analysis solutions. POWER CALCULATIONS: The system will calculate more than 100 power parameters like P, Q, S, PF, cos phi and many others. It also offers full raw data recording capabilities, oscilloscope, FFT, harmonics. All these calculations can be done online or in post-processing. 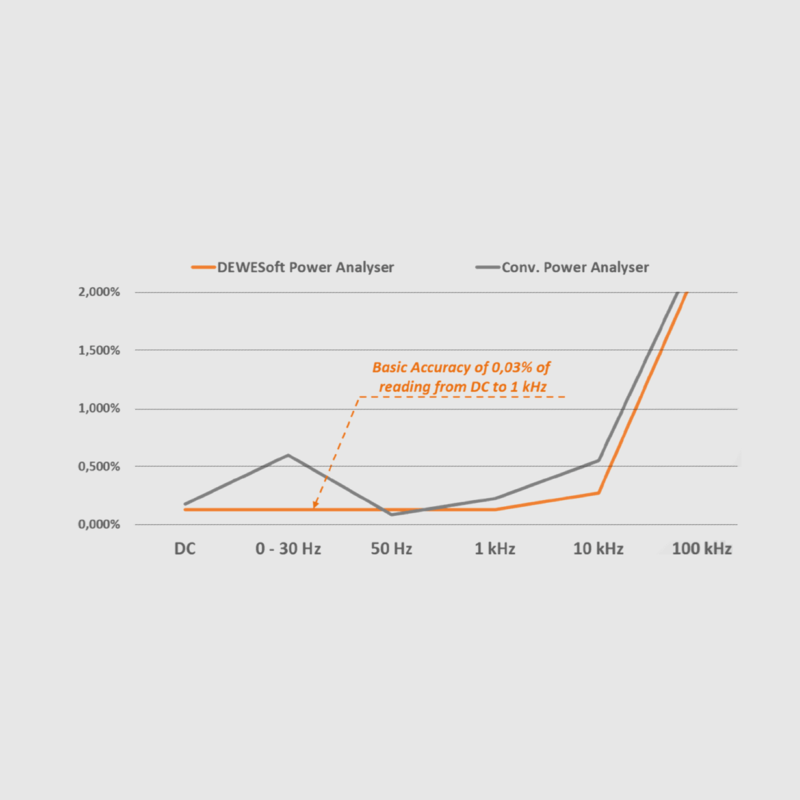 EASY TO USE: The Dewesoft power analyzer offers plug-and-play capability with hardware and sensor autodetection and award-winning Dewesoft X software. 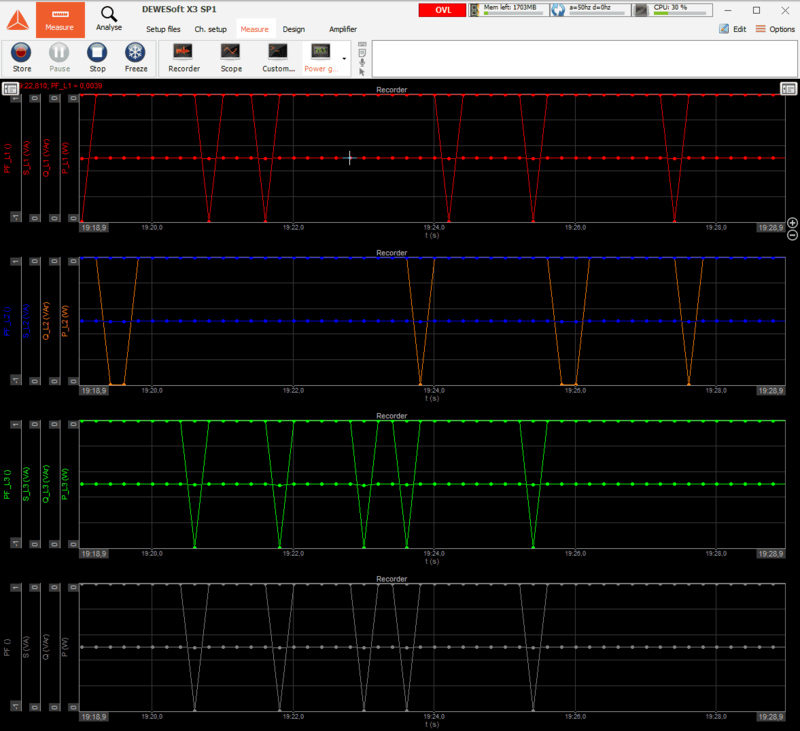 Just select input channels and the power analyzer module will do the rest. 1 MS/s SAMPLING RATE: Dewesoft data acquisition hardware features high sampling rate amplifiers with 1 MS per second sampling rate. 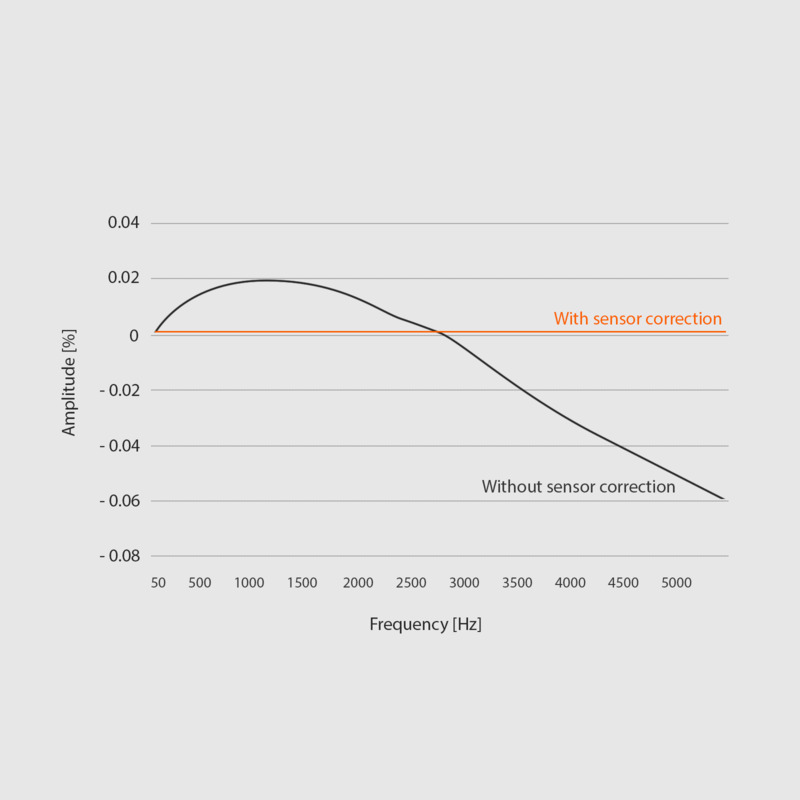 FULLY ISOLATED: The "worry-free" solution provides isolation on the sensors side (channel to ground), as well as, channel-to-channel and even isolated sensor excitation. Less noise, no ground loops, the best signal quality! ​​​​​​​0,03 % ACCURACY: We offer high accuracy amplifiers and sensors for voltage and current measurement with accuracy down to 0,03%. 1600 V DC/CAT II 1000 V/CAT III 600 V: Direct input and acquisition of high voltage signals. CURRENT SENSORS: We offer high-accuracy current sensors like zero-flux current transducers, AC/DC current clamps, Rogowsky coils and shunts with the power supply out of the box. UP TO 64 ANALOG CHANNELS IN ONE INSTRUMENT: Data acquisition systems can be configured with up to 64 channels in single chassis solution. 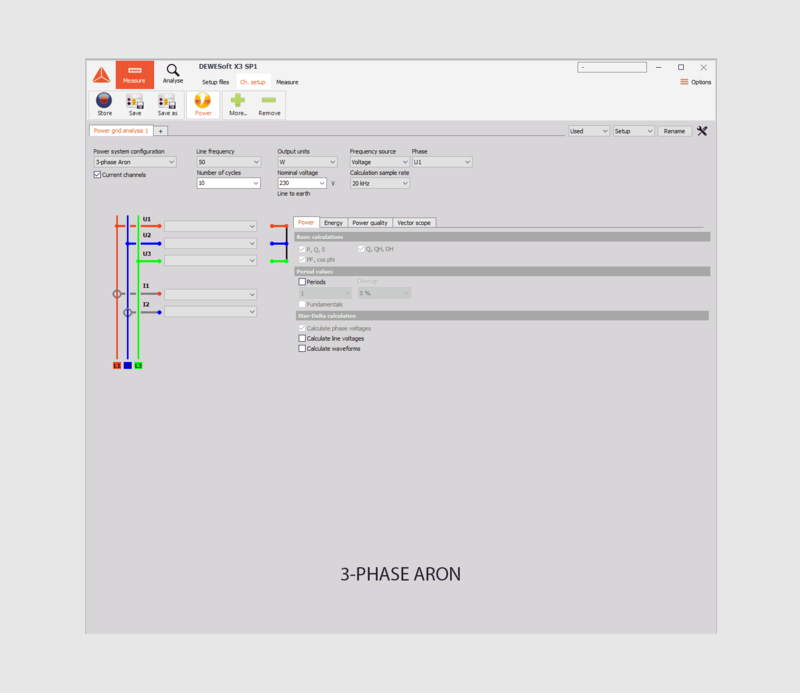 Multiple instruments can be synchronized together for the applications with higher channel count requirements. ADDITIONAL INPUTS: Dewesoft power analyzer system can also measure different signals like IEPE; thermocouples, digital, counter, GPS, CAN, XCP, FlexRay, video, etc. all fully synchronized. MOBILE MEASUREMENT SYSTEM: Various data acquisition system configurations are possible with built-in battery power, data processing computer, SSD data logging and display for maximum portability and stand-alone use. RAW DATA: Raw data is always stored for the possibility of any post-processing. Any number and type of input channels - Voltage, Current, IEPE/ICP, strain, thermocouple, RTD, CAN, etc. 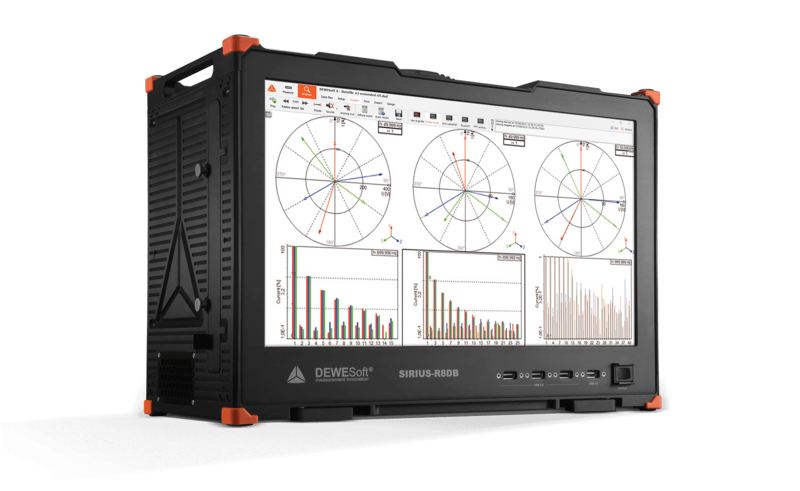 Dewesoft DAQ devices are unique due to the powerful software which combines the functionality of a couple of different devices and due to compact, flexible and rugged hardware. For power analysis, high-accurate amplifiers are absolutely necessary. The SIRIUS high-speed amplifiers for high and low voltage inputs reach new dimensions in accuracy. These amplifiers have a basic accuracy from DC to 1 kHz of 0,03% of reading. 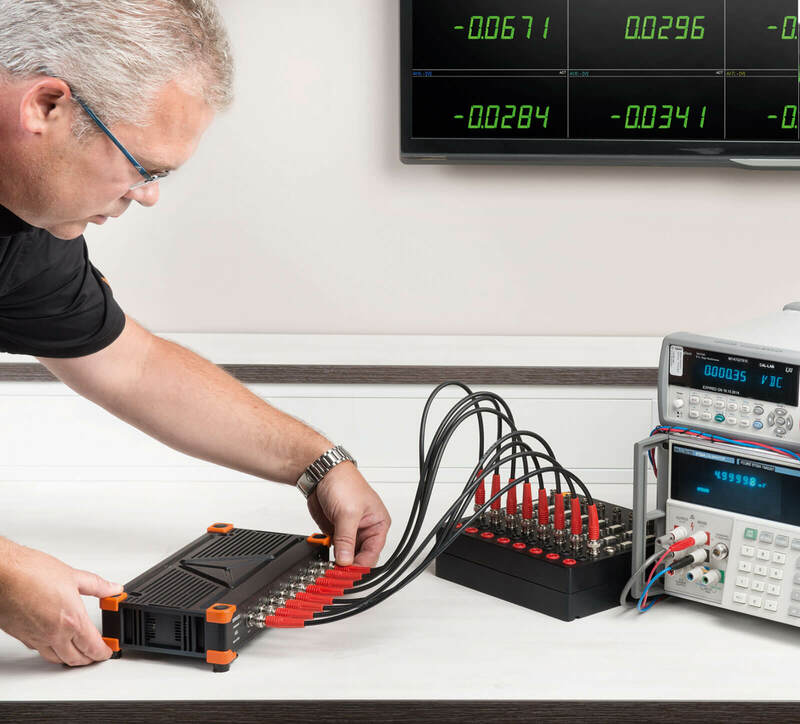 This is unique in the power analyzer market, especially at measurements with variable frequency drives where it is absolutely necessary to reach highest-accurate measurement results. Other manufacturers often provide have high accuracy at 50Hz/60Hz and the accuracy below and above is a lot worse (see chart grey line). Besides the high bandwidth (up to 2 MHz) and the high sampling rate (1 MS/s), Dewesoft voltage and current amplifiers also offer high base accuracy of 0,03 % and flexible filtering options - 100 kHz, 5th order, Bessel or free programmable digital IIR Filter in FPGA. For bandwidth requirement of up to 500 kHz, the complete filter chain is bypassed. For more information see SIRIUS product page. Voltage and current transducers always have a frequency dependent amplitude error and phase shift. 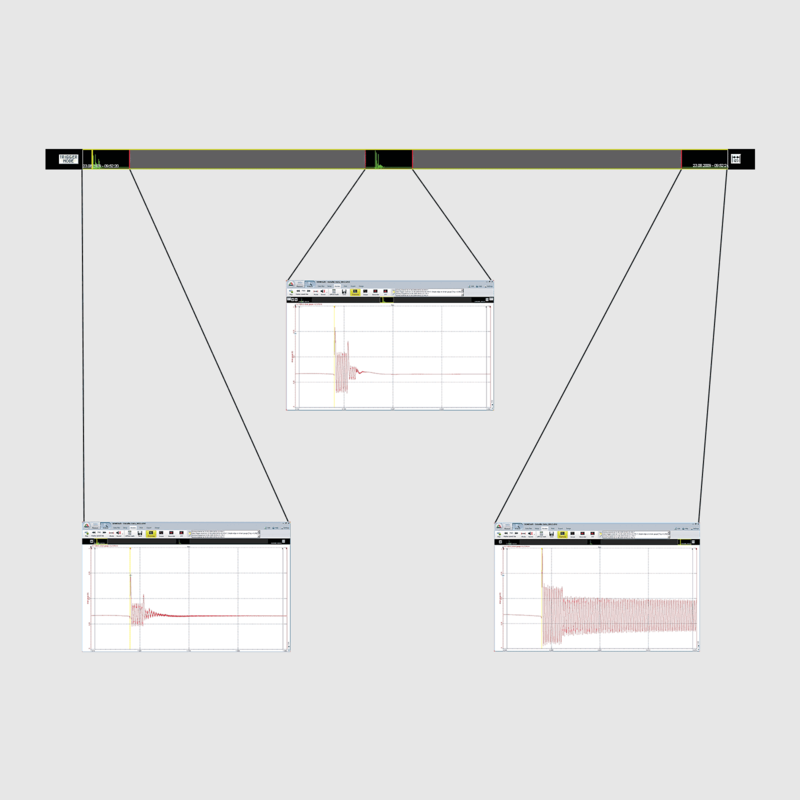 With Dewesoft’s unique software calibration technology amplitude and phase can be corrected for the full frequency range from DC up to 1 MHz (e.g. iron-core clamp, AC/DC clamp, Rogowsky coils, grid current and voltage transducer). 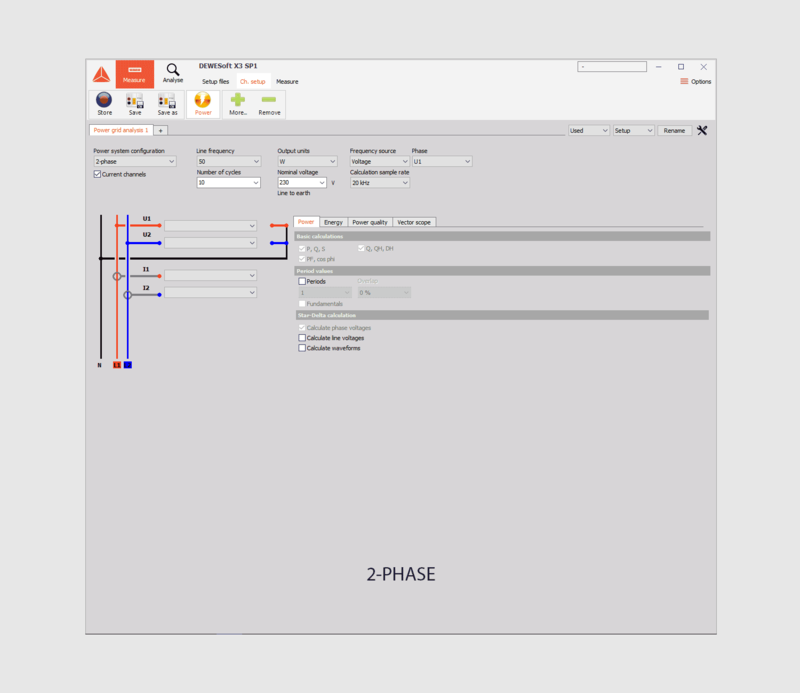 The software provides a visual selection of the different wiring schematics and provides power calculation for all possible connections. 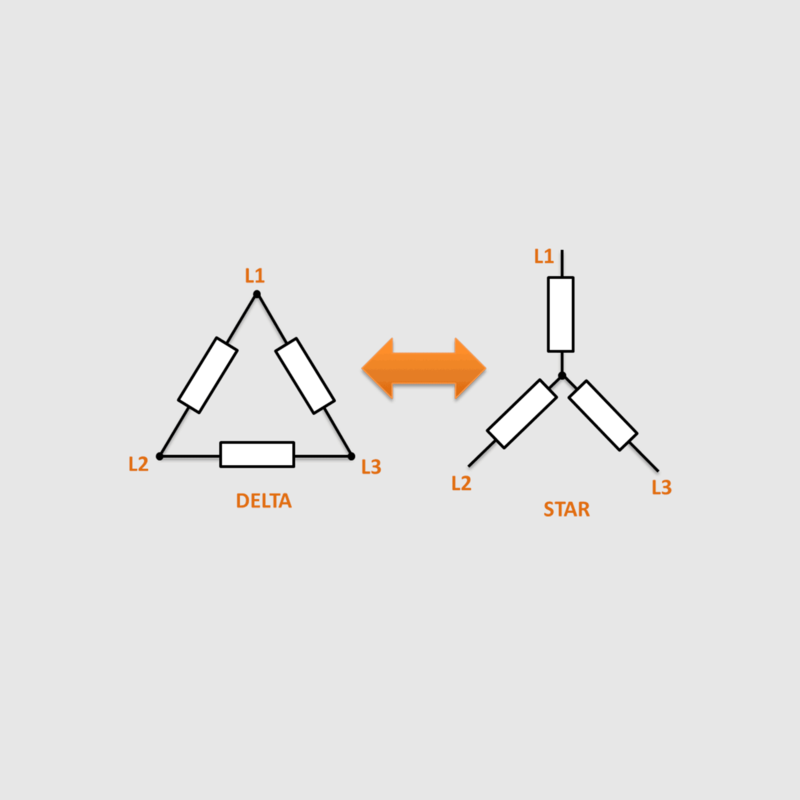 These are single phase, star connection, delta connection, V connection, Aron connection and a combined star/delta connection. All of course with or without currents. It’s even possible to analyze 6, 7, 9 or 12-phase motors due to the combination of the powerful hardware and software. 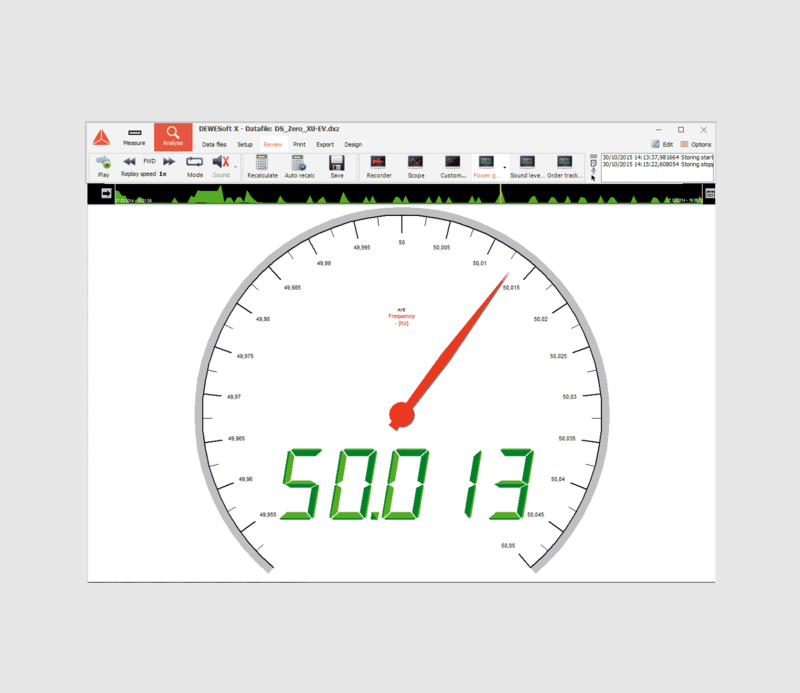 Each parameter can visually be displayed in a time recorder, digital or analog display. Out of a delta connection, it is possible to calculate all the values and the waveform for the star connection and vice versa. Waveform: U1, U2, U3 < > U12, U23, U31. 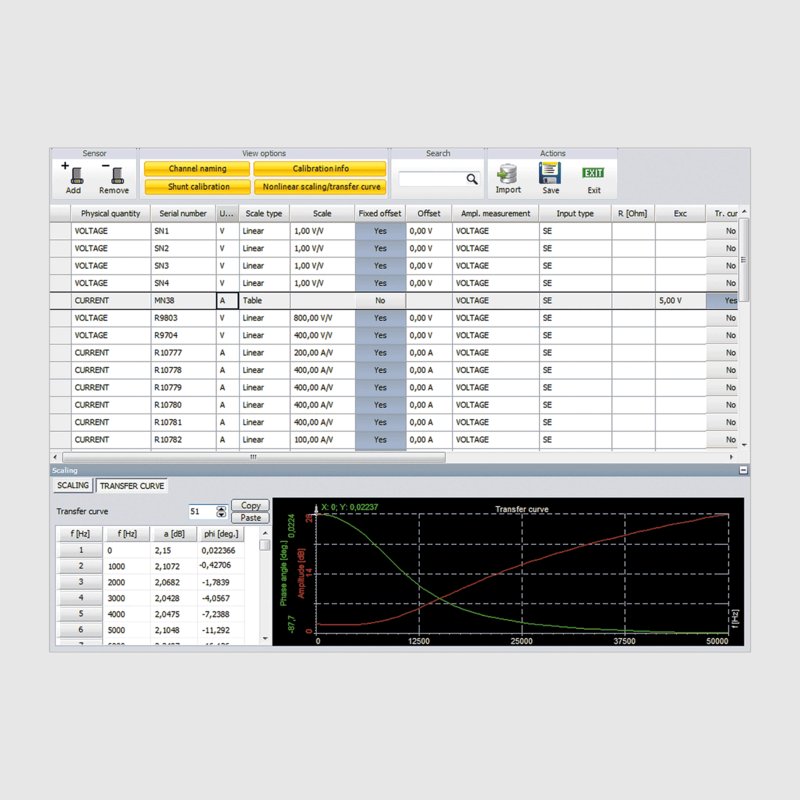 It is possible to measure multiple power analysis on one device. E.g. 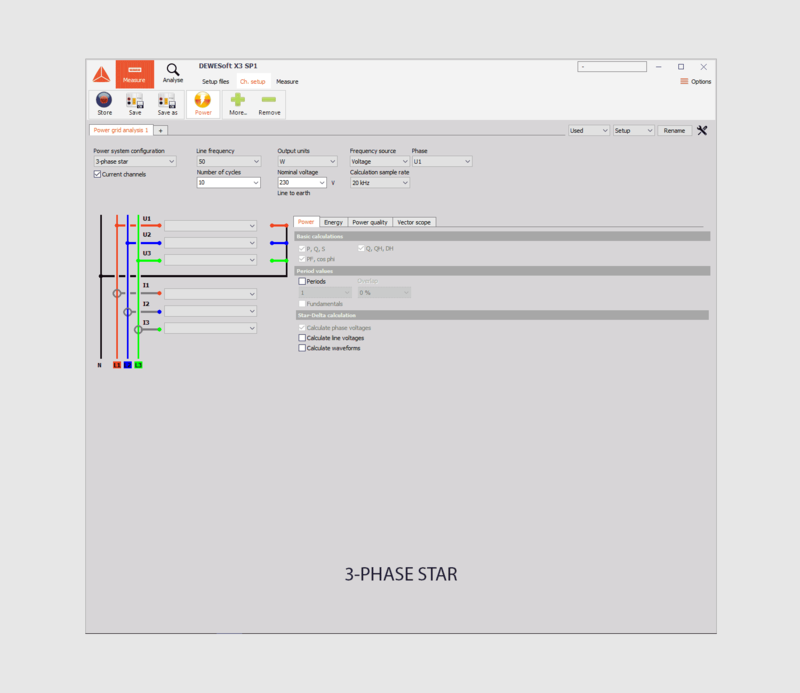 with the Dewesoft R8D DAQ system you can measure 8x 3-phase systems completely synchronous. It is possible to perform analysis for different frequencies (DC, 50Hz, variable frequency, etc. ) and wiring schematics (1-phase, 3-phase etc.). Any additional mechanical values like torque, speed, noise, temperature, and vibration can also be captured and synchronously analyzed. each can have its own frequency. With the use of the different instruments from Dewesoft, the values can be shown in several ways. Variable frequency: Inverter (from 0.5 Hz to 3 kHz). Dewesoft system allows you to choose whether you use voltage, current or an external source as the frequency source. This is a very helpful feature, especially with inverter measurements. 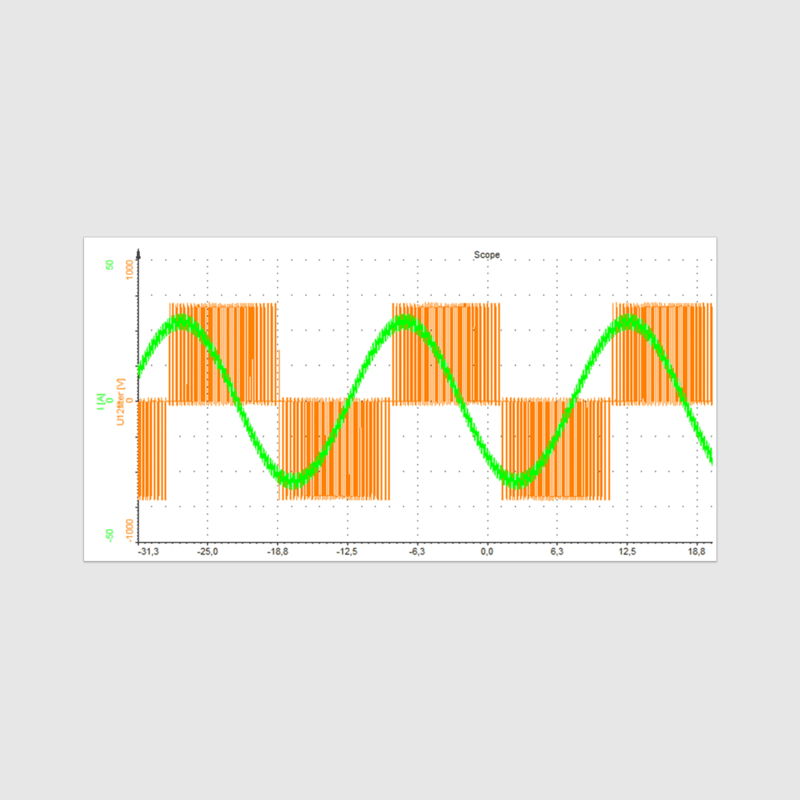 Due to the PWM modulated voltage signal, the correct period of time often cannot be determined correctly. The current is much less distorted because of the high inductance of the motor coil. Therefore it’s too often better to use the current as frequency source with inverter measurements. This feature ensures correct frequency determination for every application. 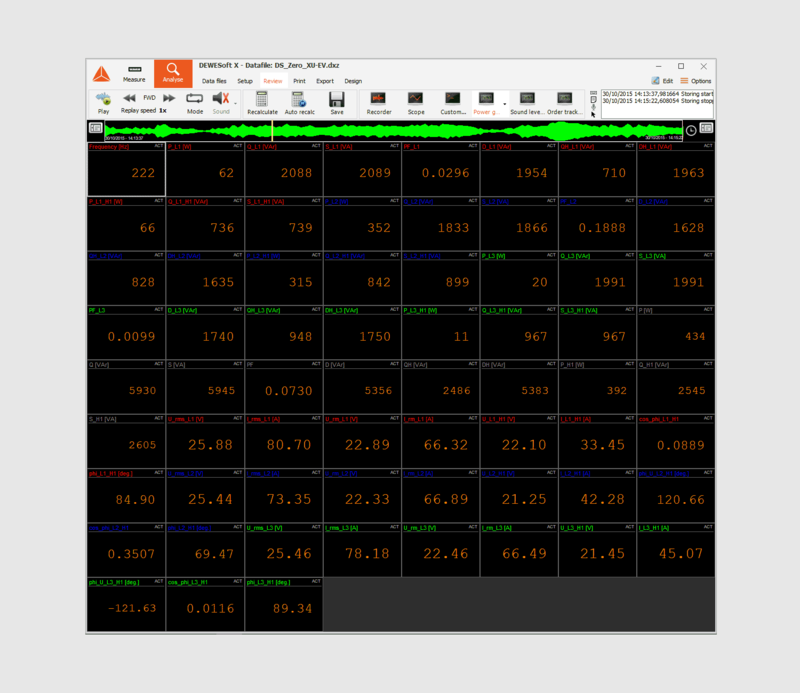 Dewesoft power analyzer provides a visual recorder displays for time domain data. Setting a trigger on all parameters of the power module! Math formulas can be used to create combined trigger conditions. When the trigger event happens, data is stored with the fast sampling rate (with pre- and post-time) while otherwise only reduced data (min, max, average, RMS) is stored. This reduces the file size in long-term measurements. For more details visit Dewesoft X storing page. Voltage and current transducers always have a frequency dependent amplitude error and phase shift. 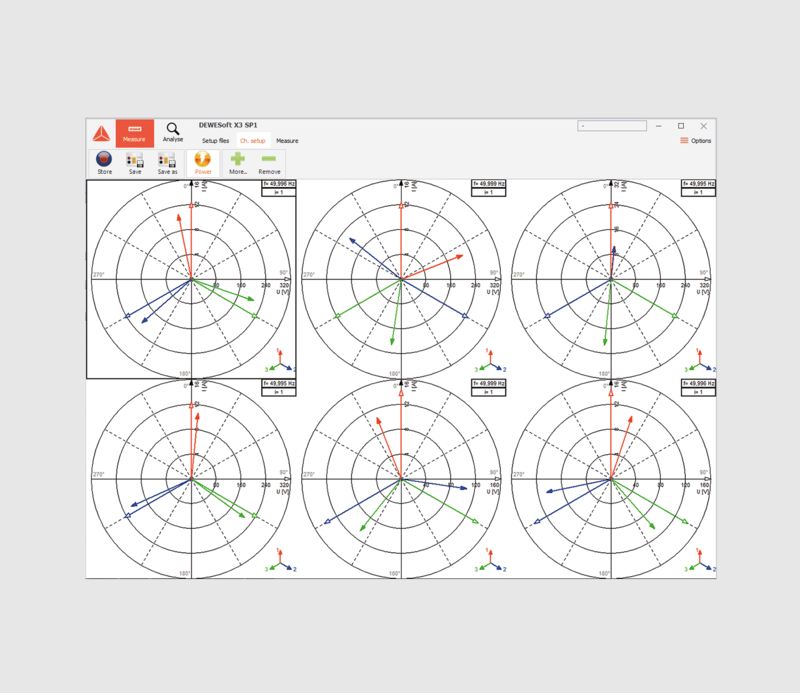 With Dewesoft’s unique software calibration technology amplitude and phase can be corrected for the full frequency range from DC up to 1 MHz. All the internal curves like filter response are corrected inside the software and the sensor database includes correction curves for each clamp, Rogowski coil, transformer or whichever sensor is used. SIRIUS MCTS is power supply unit for our high-precision current sensors. 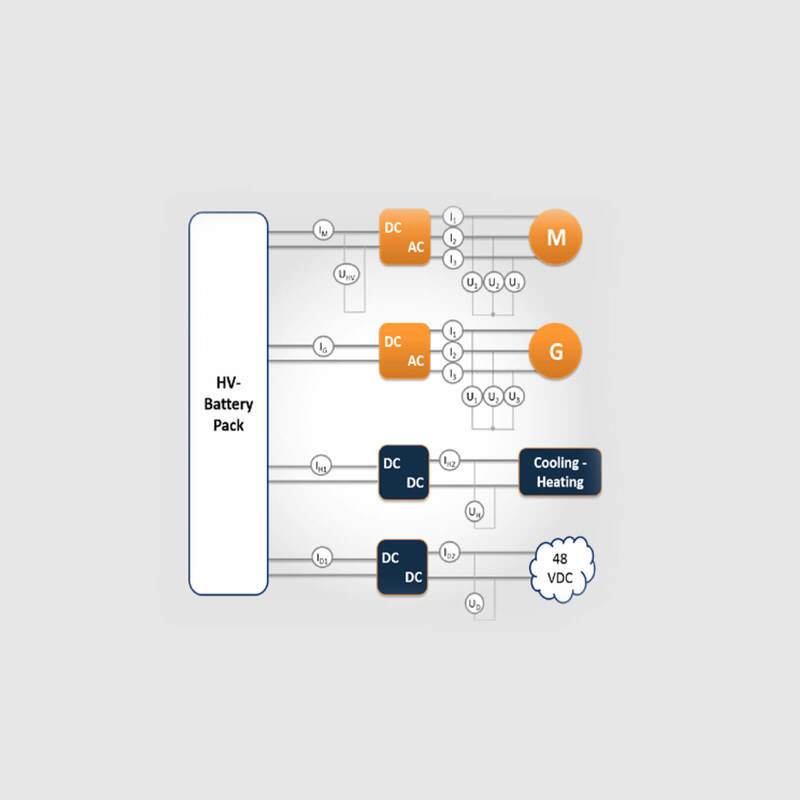 MCTS power supply can either fit into R2DB, R3, R4 or R8 DAQ instruments or is available as a stand-alone unit compatible with SIRIUS modular slices.